There are no prizes for guessing the subject of this week's Image of the Week article! 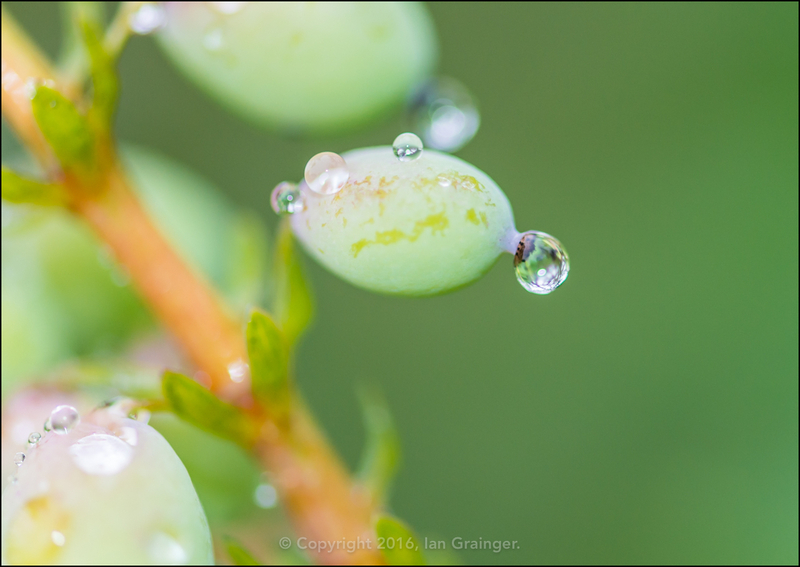 Nevertheless, I didn't see any reason why I shouldn't exploit the millions of little water droplets and try and incorporate them into my weekend photography session. I tried to resist posting another camellia image, but so far this year its the plant that's providing the most amount of colour in the garden. 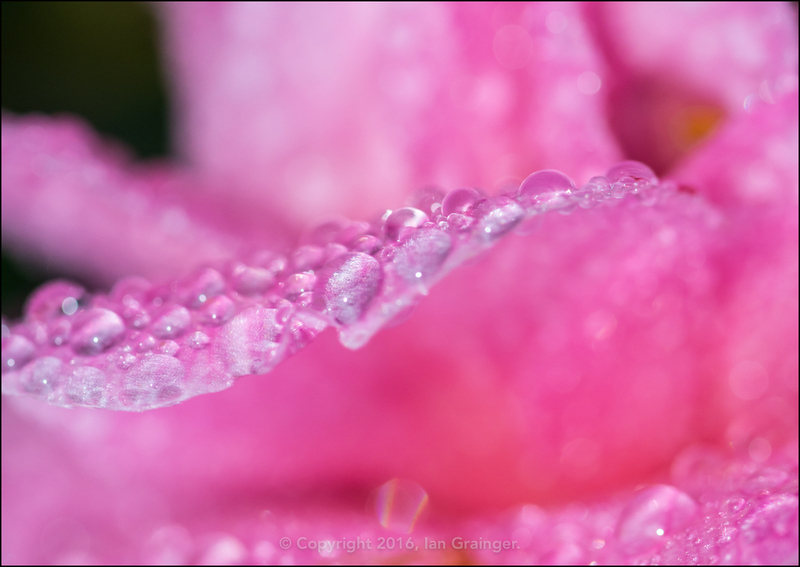 For a bit of variation I went for an abstract approach this week rather than simply shooting a plain flower shot. 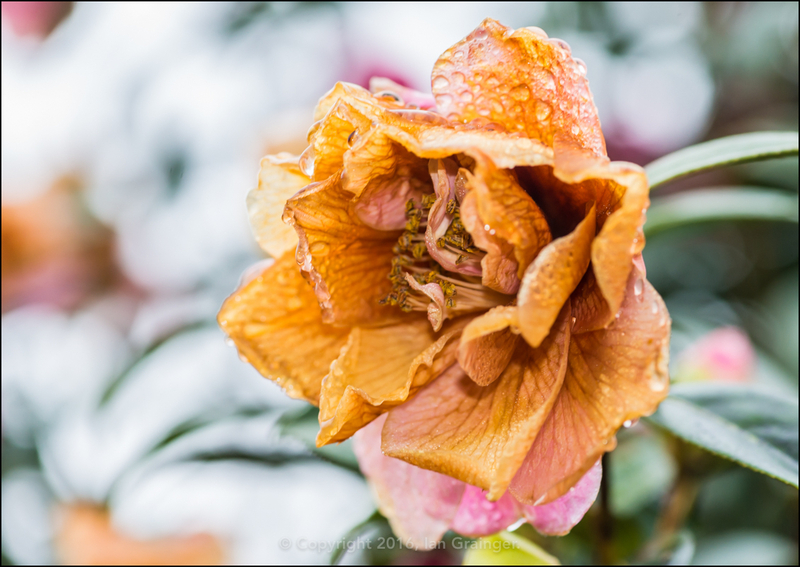 Unfortunately, the heavy frost has had a disastrous effect on some of the blooms that have already opened, but thankfully there are still plenty of buds remaining on the bush, so we can look forward to more prettiness in the coming weeks. 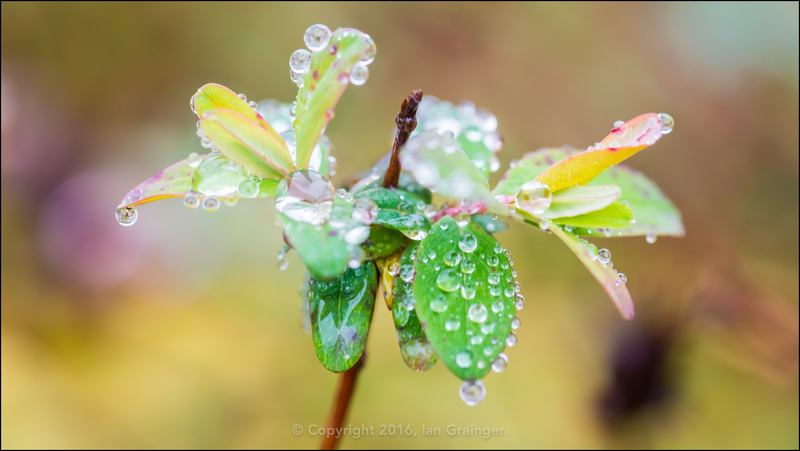 Photography wise, I find it quite interesting how normally quite mundane subjects can come to life with a simple sprinkling of water droplets. 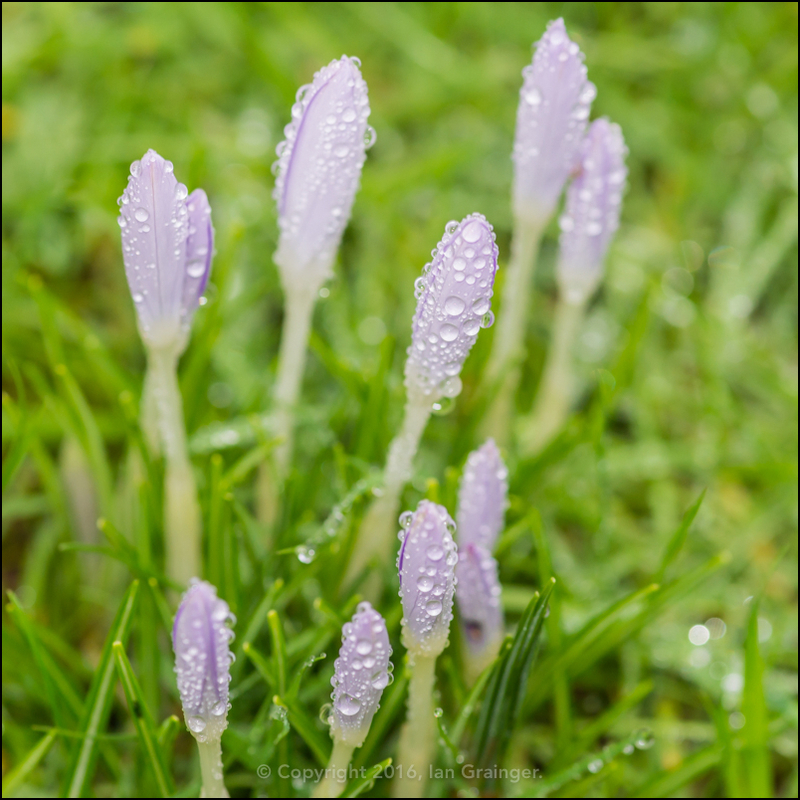 Even these simple Crocus flower buds, just starting to poke their heads through the lawn, benefit from a covering of droplets. 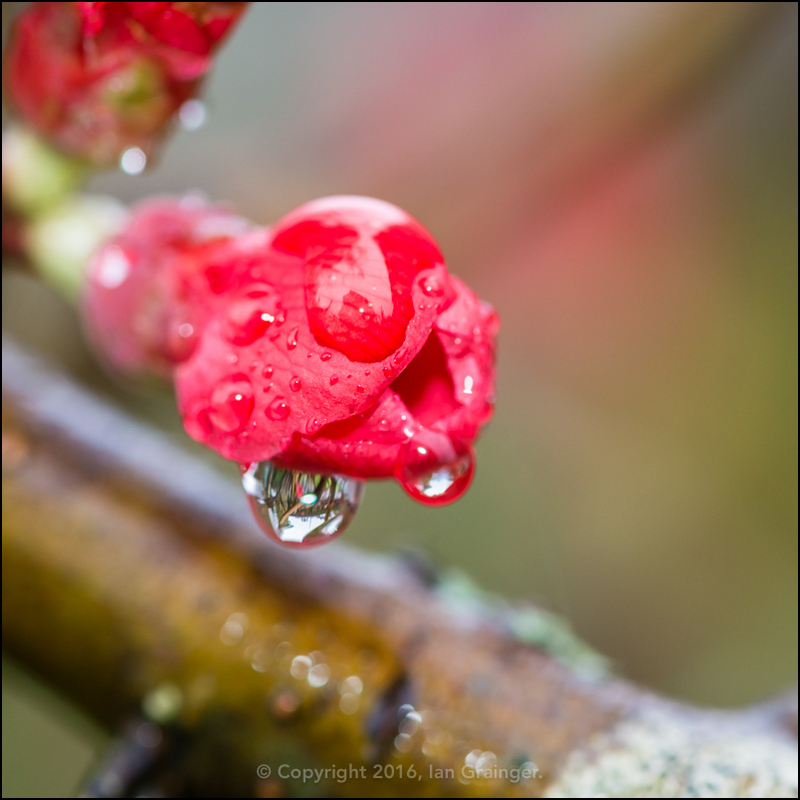 ...or this Quince bush blossom, both sporting less than half a dozen distinct droplets.